I donate hair to wigs for kids every three years or so, when I started using mastery hair care products the locks I donate are very thick soft and full , my hair lady says that it normally takes 2 locks to make a wig but mine is so thick it suffices on it s own . Great price and fast delivery from fragrancenet .I thank you and wigs for kids thank you. love the smell. smells like coconut and rum mixed. even though the shampoo is sulfate free, it lathers very well. 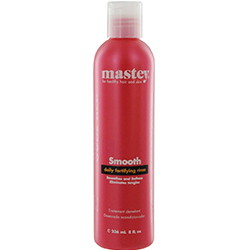 the detangler/conditioner is good too, though it can weight thin/fine hair down.